The Upbeat Dad! 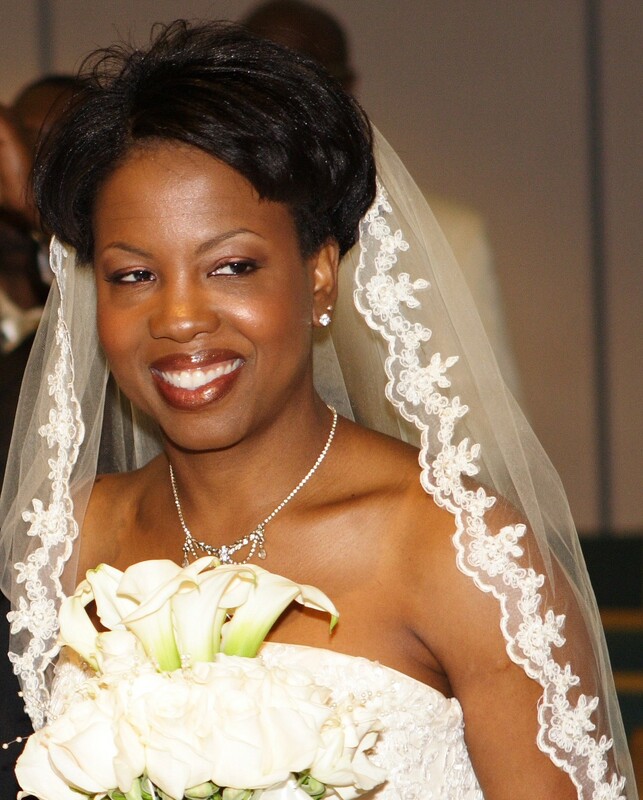 : Feeling “Upbeat” About My 2nd Wedding Anniversary! Feeling “Upbeat” About My 2nd Wedding Anniversary! Today is a national holiday in the United States – it’s President’s Day. But I’m celebrating for a totally different reason. You see, I’m celebrating my 2nd wedding anniversary. My wife and I are officially 2 years old and growing stronger by the minute. It’s been a thrilling ride since our first date in 2007. 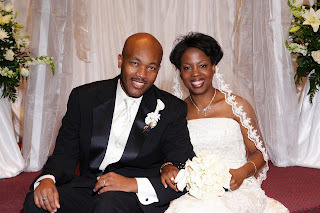 And it culminated in our official union on Saturday, February 21, 2009. This anniversary is quite special to me for many reasons. First, I love her dearly for who she is and all that she is to me. Secondly, having experienced the trauma of divorce, I know that when you’ve found that someone special who you’ll spend the rest of your life with, it makes for something to celebrate. In the post The Story Behind the Upbeat Dad, I shared a bit of the journey that has taken me to this point. 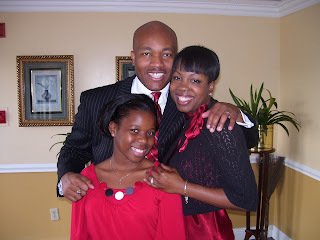 And in The Story of My Blended Family by The Upbeat Dad I shared the story about how I went from being a single dad to the married father of two wonderful kids. Today is a reason to celebrate for so many reasons. In the immediate aftermath of my divorce, I would’ve never thought I’d see a day like today. I was walking wounded after that experience. It was quite an eye-opener as I got introduced to the whole family law system and what happens with so many families when love leaves a home. It’s not that I said good-bye to love (as The Carpenters sang). It’s just that I never really thought I could get to the point where I found someone so compatible with me to the point that I’d want to get married again and have more children. If I thought for a moment that I could possibly go through another divorce, then there’s no way I’d consider marriage again. Even more, I’d never consider having more children. But in my wife, I’ve found a true partner for life. I know that it takes work to make a marriage work. But the starting point to a successful marriage is a commitment to love and honor each other “till death do us part.” And that’s what we’ve found in each other. One thing that I haven’t previously shared with our readers is the fact that she is the engine that drives The Upbeat Dad blog. My greatest gift is writing. I love to write. It’s just natural to me. I try to write a blog post each day. Lately, because of my busy schedule, I have not written each post as timely as I’d like but the desire to write is always there. Each day as I write the blog post, it’s my wife who takes what I’ve written and beautifies it. She edits my writing; then she adds pictures and tags to facilitate the process by which search engines find our posts. I generally give her basic instructions about what I’d like to see and she takes it from there. So I could never take the credit for the success of The Upbeat Dad. It’s a team effort and believe me, without her, it could not be as successful as it is. In her I have found a true love – one who accepts me with my many flaws. I’m also thankful that she embraces my daughter – from my first marriage – as her own child. I was speaking with a colleague who married a gentleman who had kids previously. She said she doesn’t use the word “stepchildren” when referring to those kids. Instead she uses the term “bonus kids.” I concur with that view. My daughter has a biological mother who loves her dearly. And she also has another mother – the one who married her father and absolutely adores her. That’s something that endears my wife to me more than I could possibly say. 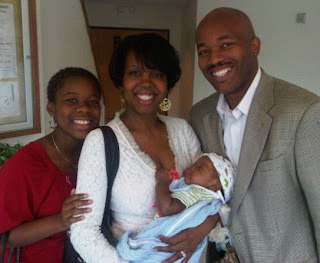 Last August, our son was born. He has been a blessing to us in the 6 months since his birth. Our blended family has come together quite smoothly and for that I’m so thankful. It’s not always easy taking care of a newborn and a twelve year old. Sometimes we deal with homework and teachers conferences. Other times we deal with shots at the pediatrician’s office and running out to get more diapers. We’re on-call 24/7 but we love it! Being parents to these two kids is the thrill of our lives and we’d have it no other way. I said to my wife this morning, “Two down – at least 48 to go!” And that’s the spirit to keep us going. I don’t know all that the future holds but I feel confident that we move forward together in a love that grows more beautiful each day. This is what life is all about – living and loving those who mean the world to you. If you’re reading this post and you may not be in the best of situations presently, just be encouraged with these words that I share. It wasn’t too long ago that my life was a nightmare – dealing with divorce and the aftershock of that experience. My mom always says that time heals all wounds. And it has indeed. My reward is this family that I just treasure and adore. I hope the same for you as well. Afterall, if we have a loving family to come home to after facing all the challenges of each day, it makes it worthwhile in the end. I hope for you and yours – especially your kids – nothing but the best in all things. Upbeat Dad of the Week: Nelson L. Moody Sr.
My Son’s First Word – Da Da! !